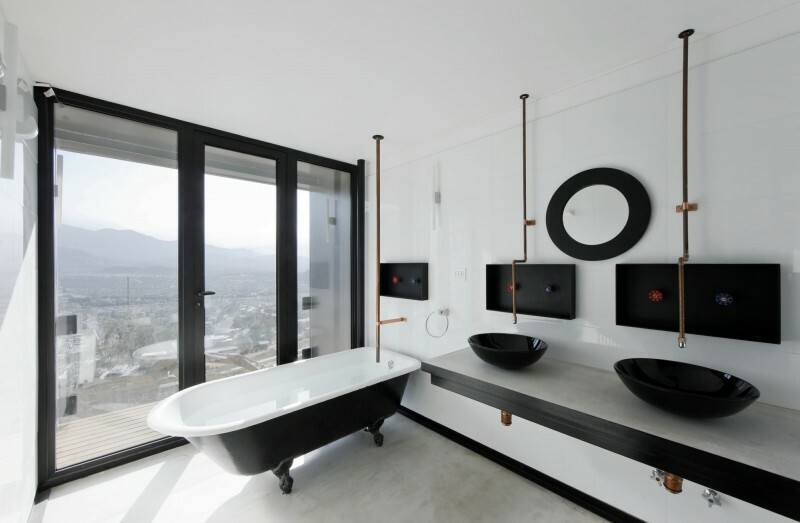 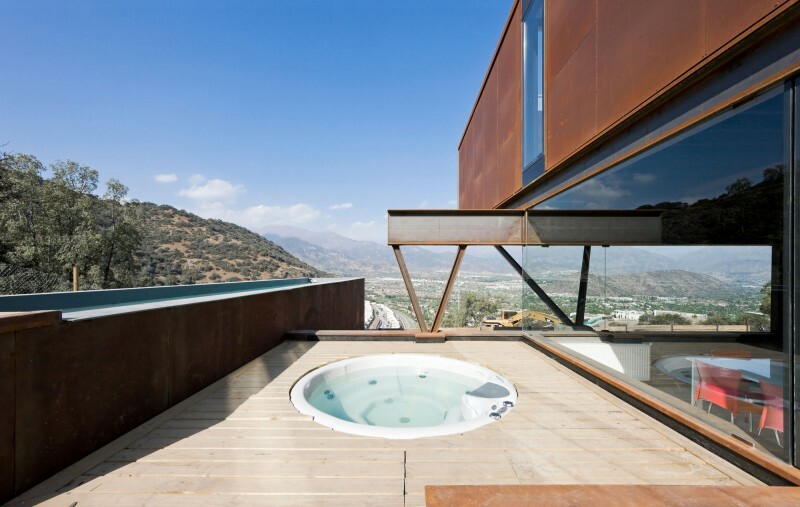 Designed by Sebastián Irarrázaval, Caterpillar House is a high end residential residence located in Lo Barnechea, Santiago de Chile, Chile. 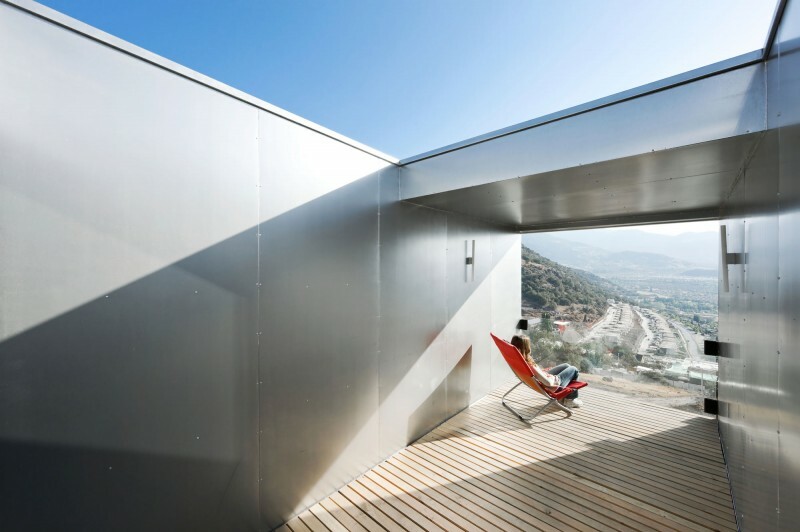 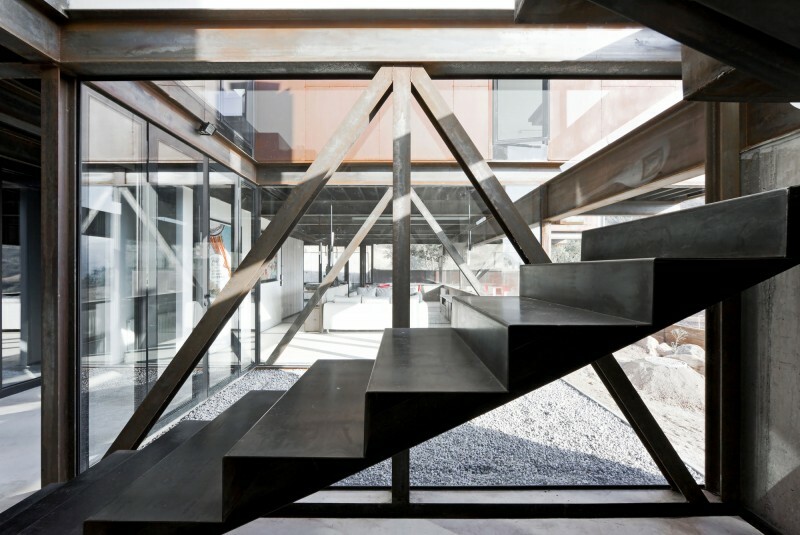 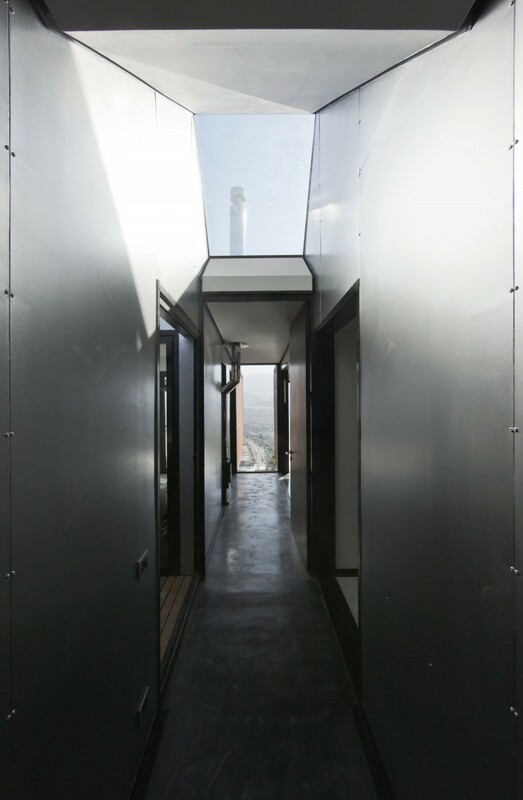 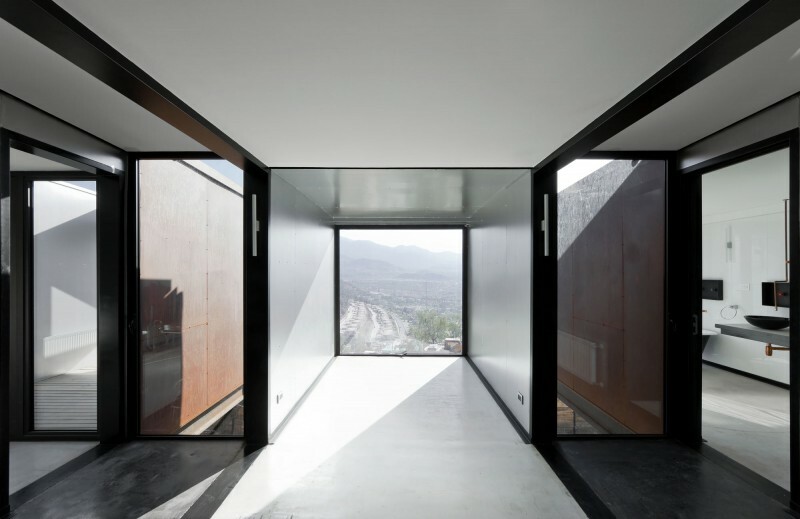 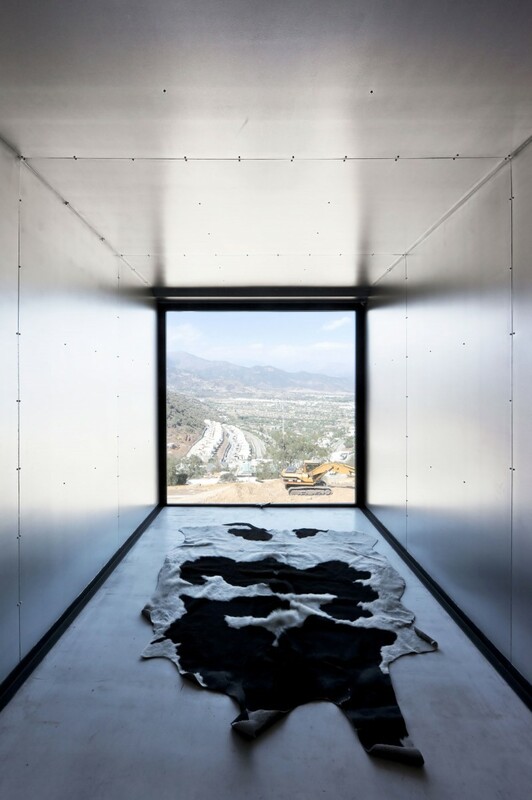 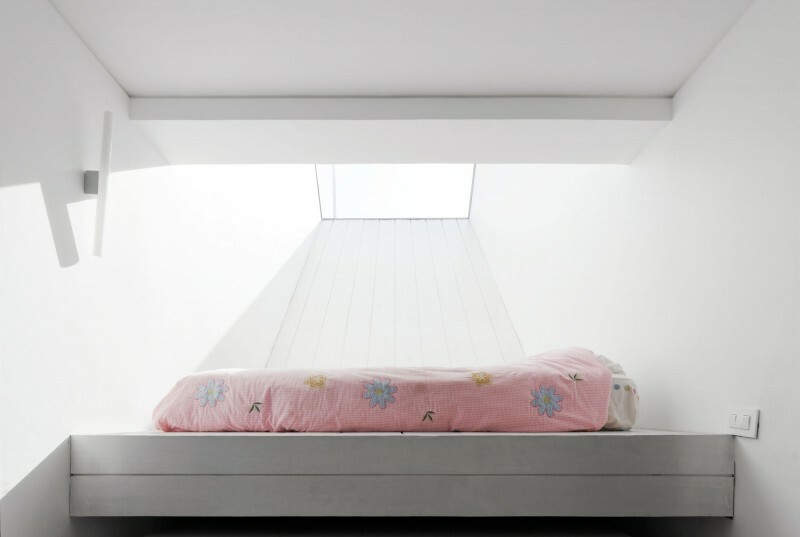 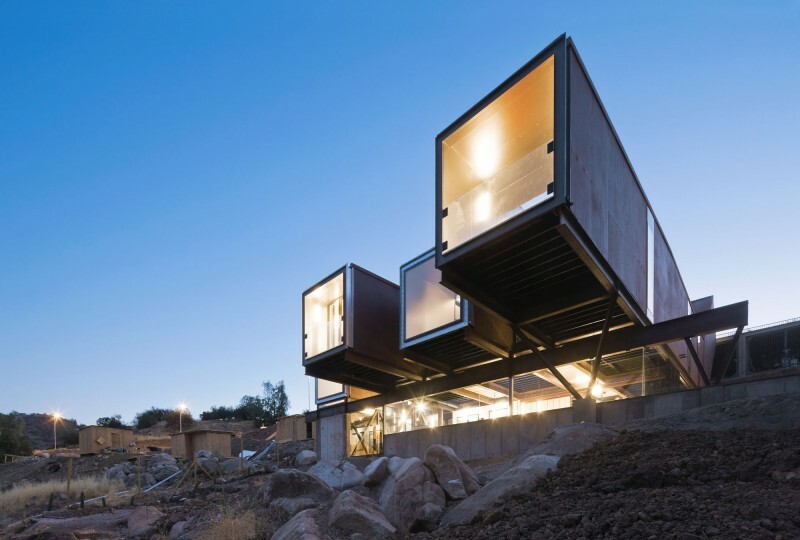 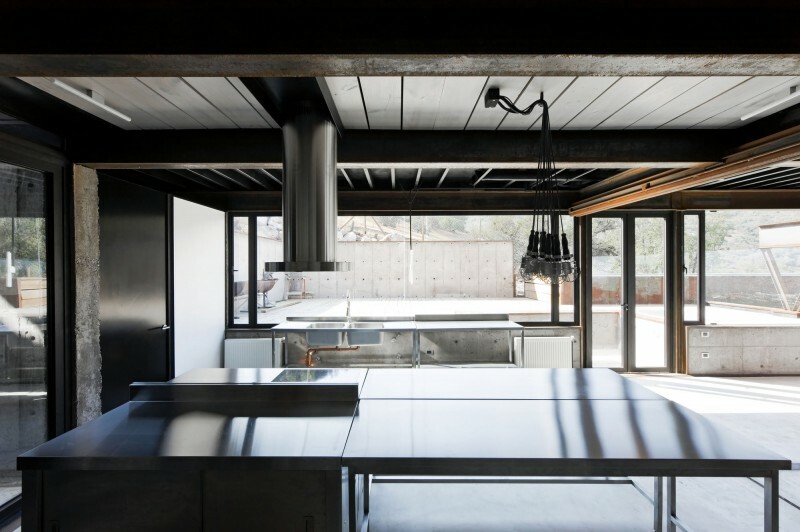 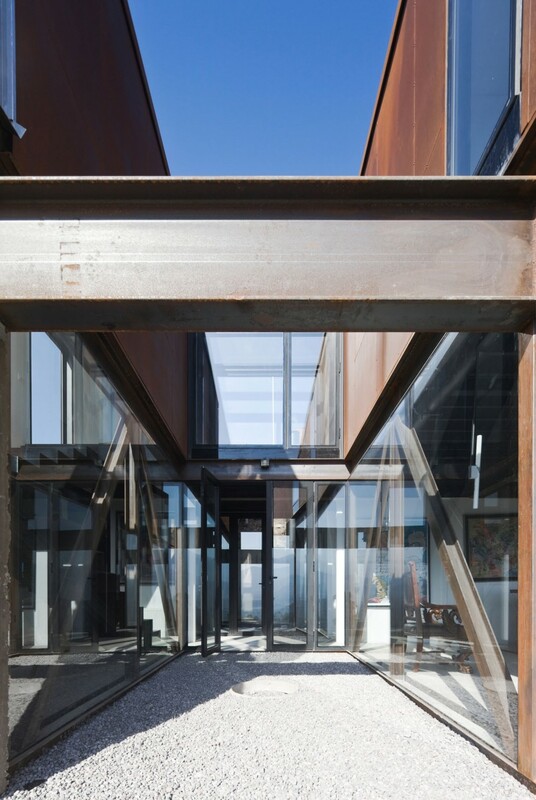 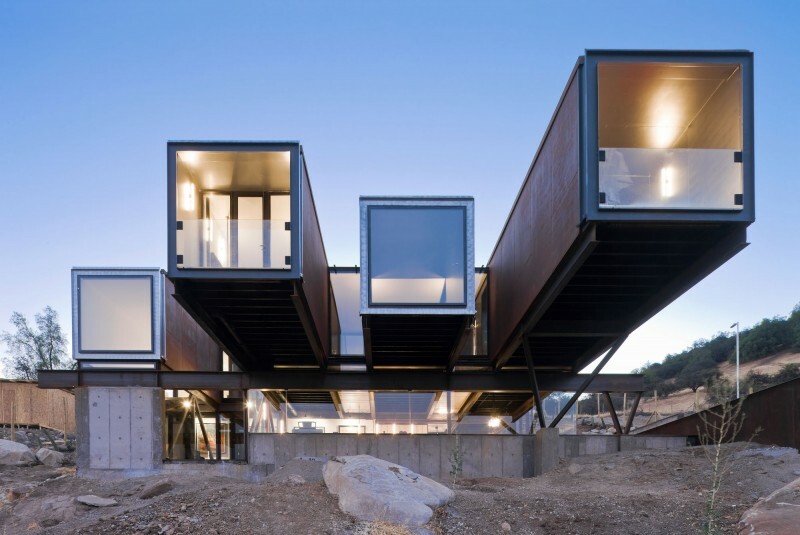 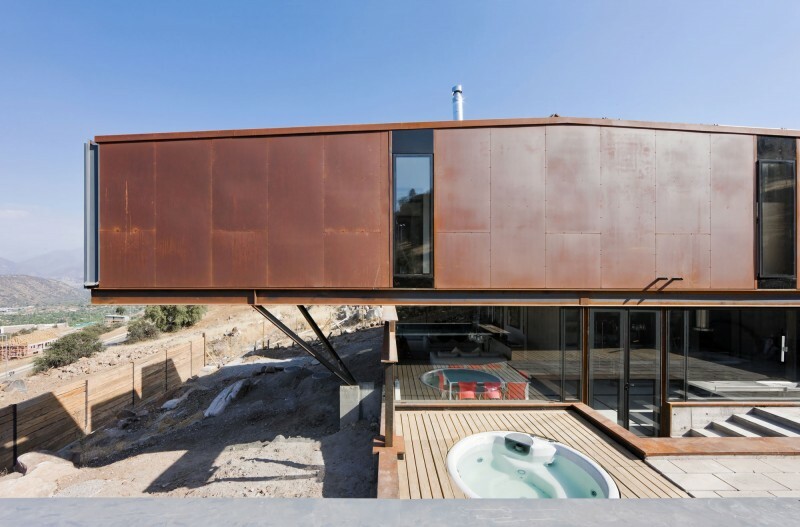 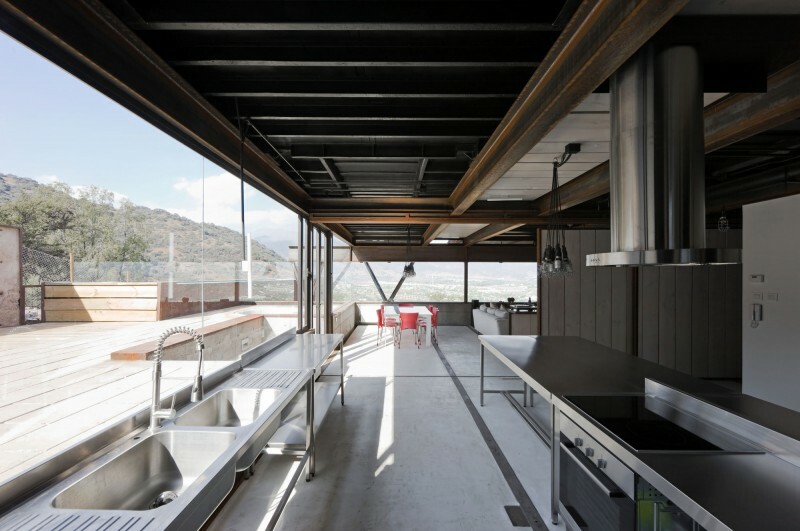 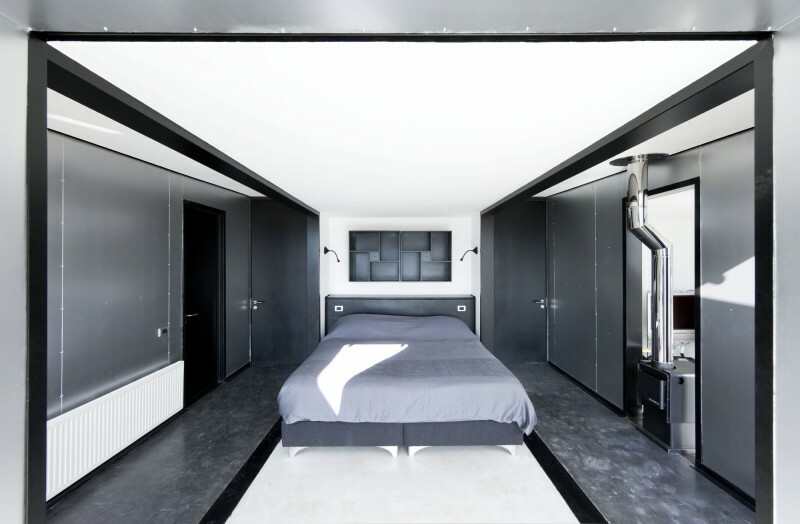 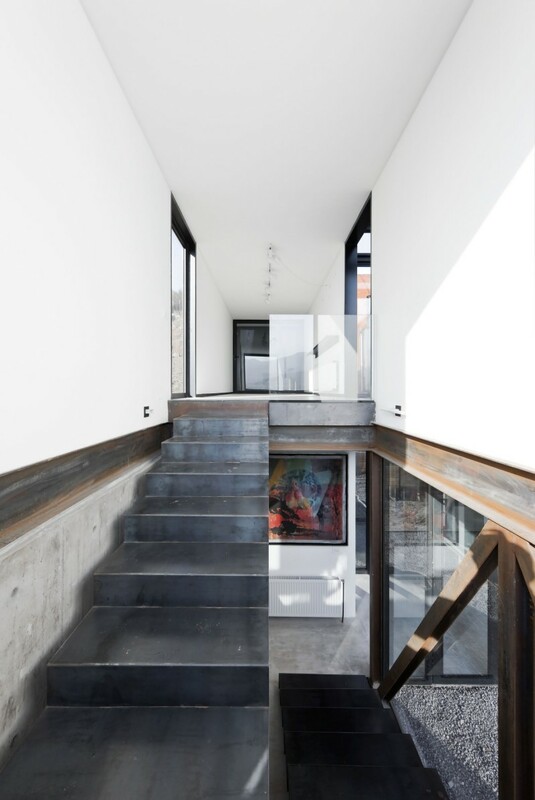 “This prefabricated house for an art collector and his family was built in the outskirts of Santiago in a new suburban residential area. 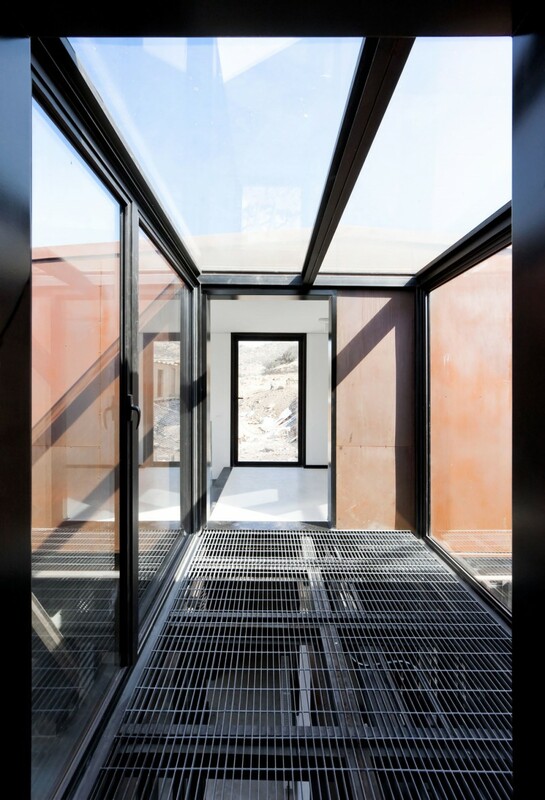 In order to reduce construction time and costs, second hand shipping containers were used as follow: Five 40 “standard containers, Six 20“ standard containers and one 40“ open top container for the swimming pool. 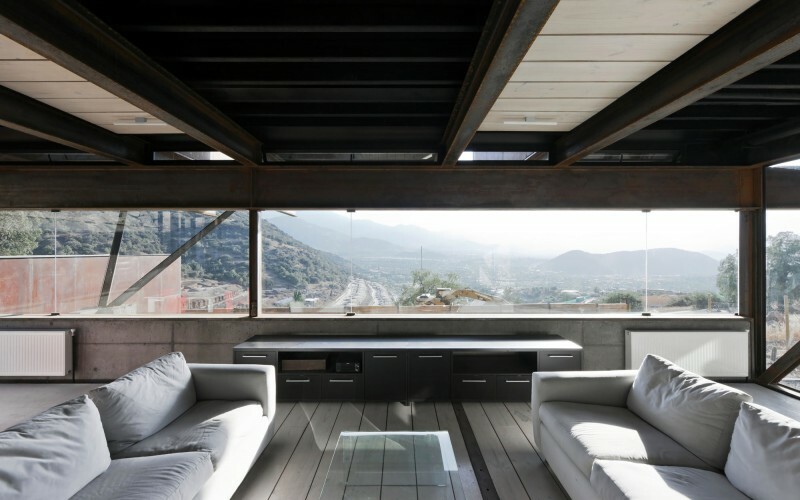 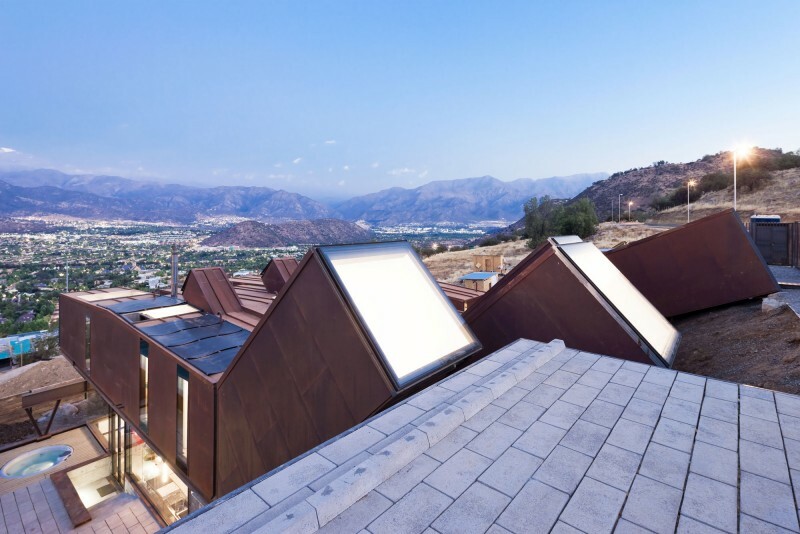 The first one was to integrate it to the territory of this part of the city where the presence of the Andes Mountain is extremely strong both visually and tectonically. 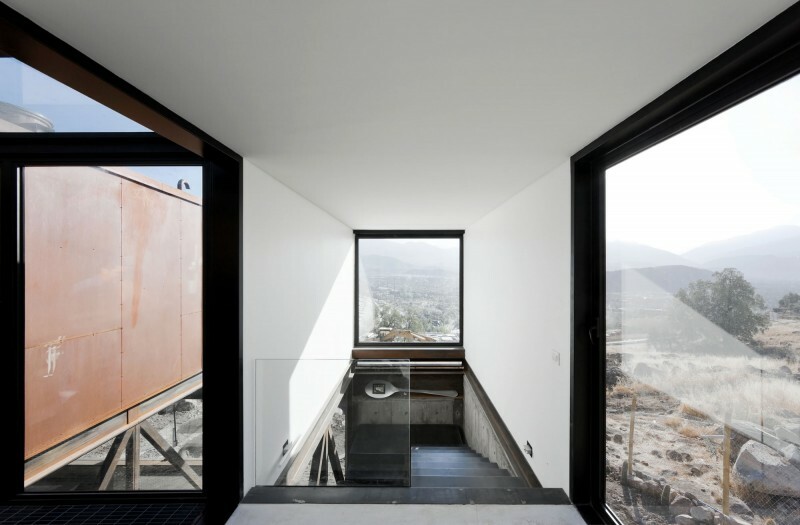 Therefore the presence of the Andes was considered as an obvious background worst to be highlighted and also as a sloped ground needed to be negotiated.